Joseph Miller, a longtime professor of astronomy with extensive experience in leadership and administrative positions, has been selected to guide and expand UC Santa Cruz's research and educational programs in Silicon Valley. His appointment as Vice Provost for Silicon Valley Initiatives is awaiting final approval by the UC Office of the President. As Vice Provost, Miller will oversee the conception, development, and implementation of the campus's programs and partnerships in Silicon Valley. He previously served as director of UC Observatories/Lick Observatory (UCO/Lick) from 1991 to 2005 and has been a member of the UCSC faculty since 1968. "Joe Miller has had notable success guiding major multi-institutional endeavors, such as the construction of the W. M. Keck Observatory while he was director of UC Observatories," said UCSC Chancellor George Blumenthal. "He is an excellent administrator, and I look forward to working with him as we continue to build on UCSC's impressive array of research and educational activities in Silicon Valley." As director of UCO/Lick, Miller was responsible for the oversight and leadership of the Lick Observatory and UC's share of the W. M. Keck Observatory in Hawaii on behalf of the entire UC system. The Keck Observatory is a joint effort involving UC, Caltech, and NASA. "I see the Silicon Valley Initiatives as an outstanding opportunity for UCSC to develop exciting new programs, and my goal is to keep those new developments tightly coupled to the Santa Cruz campus," Miller said. UCSC's Silicon Valley Center, located in the NASA Research Park, is the base for a growing number of innovative educational and research programs, many of which involve partnerships with the region's private industries, government agencies, and educational institutions. The University Affiliated Research Center (UARC), a partnership between UC and NASA, is a 10-year, $330 million research contract managed by UCSC, with NASA and UCSC scientists working side by side on critical research tasks. The Advanced Studies Laboratories (ASL), a strategic joint venture of UCSC and NASA, emphasizes integrative, interdisciplinary science and the kinds of crossover technologies that fuel innovation. UCSC is also spearheading the establishment of the Bio-Info-Nano Research and Development Institute (BIN-RDI) in partnership with NASA and industry, pursuing breakthrough technologies based on the convergence of biotechnology, information technology, and nanotechnology. Miller's responsibilities as vice provost will include providing oversight of not only the UARC, ASL, BIN-RDI, and related research programs, but also UCSC's innovative educational partnerships in Silicon Valley. To educate the workforce of the future by improving science, technology, engineering, and mathematics (STEM) education at all levels, UCSC is partnering with San Jose State University and Foothill-De Anza community colleges to form the Collaborative for Higher Education and address educational issues on several fronts. Programs include the Collaborative Teacher Institute, providing professional development in science and math for elementary school teachers, and the High School STEM Enrichment project, attracting qualified underrepresented youth from Silicon Valley into careers in engineering and science. In addition to his extensive leadership and administrative experience, Miller is an accomplished astronomer. His research interests include quasars and active galactic nuclei, focusing on their relationships with the surrounding environment and the nature of their host galaxies. He has also led a number of innovative instrumentation projects involving advanced optical designs and detectors for the Lick and Keck Observatories. 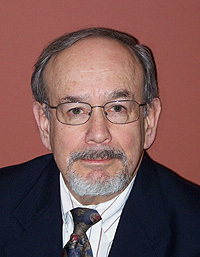 Miller was elected to the American Academy of Arts and Sciences in 1994 and served as founding chair of the AURA Coordinating Council of Observatory Research Directors from 1997 to 1999. He received the Outstanding Faculty Award for the 1996-97 academic year from the Division of Natural Sciences (now Physical and Biological Sciences). In October 2006, Miller received UC Berkeley's highest honor, the Berkeley Medal, as well as the UC President's Citation of Excellence for his many years contributing to the fulfillment of the UC Mission of teaching, research, and service. Previous recipients of the Berkeley Medal include Herman Wouk, Francois Mitterrand, Glenn Seaborg, Gordon Moore, and President Bill Clinton. Miller earned his B.A. in astronomy and physics from UCLA and his M.S. and Ph.D. in astronomy from the University of Wisconsin.